So what exactly is the Concours d’Elegance? The Concours d’Elegance is a car show unlike any other, considered to be of the most prestigious events in the automotive world. French for ‘competition of excellence,’ the Concours d’Elegance features the rarest and most beautiful automobiles from all over the world, all competing to be recognized and awarded for their beauty and restoration. These kinds of events date all the way back to the 17th-century, starting with horse-drawn carriages in France, gradually turning into a competition among automobile owners to be judged on the appearance of their respective vehicles. The oldest Concours still in existence today is the Concorso d’Eleganza Villa d’Este in Cernobbio, Italy, first held in September 1929. 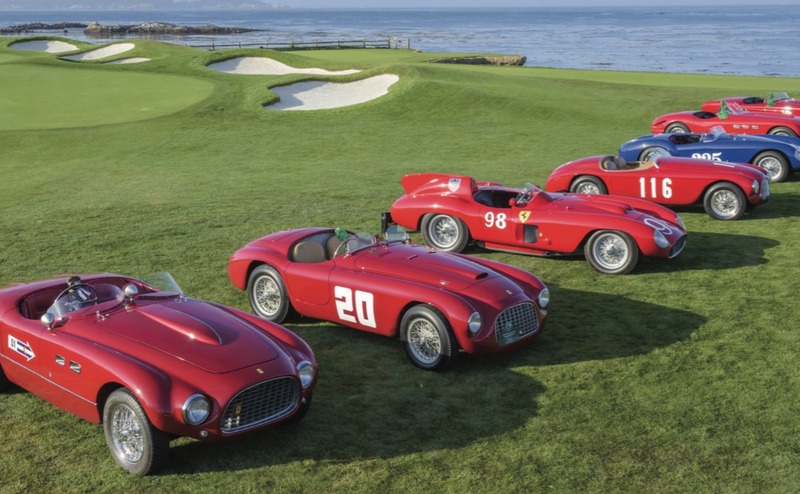 The first Concours held in North America however, was in 1950 at the Pebble Beach Golf Links in Monterey, California, with just 30 cars exhibited in its first year. Trained judges examine the vehicles thoroughly, which all must be presented in flawless condition…so flawless, that the cars qualified to be featured are often not even driven…except, of course, from their trailer to the show field. People travel from all over to, not only participate in, but to attend these events, from the high brow car collector to the neophyte car fanatic. With around sixty Concours d’Elegance shows per year in the US, car enthusiasts all over the country will be pleased to find, if they have not already, that their state is home to a classic automobile show of its very own, and if not, there is certainly one close by. The most recent addition to the Concours d’Elegance circuit in the US is the Atlanta Concours, which held its first show last fall at the Chateau Elan Winery and Resort, and is gearing up for their second show this coming September 30-October 1st. It is not uncommon for those who want to, and are able to, attend more than one of these events a year. Between the weekly Cars & Coffee events to spectacular shows such as the Concours d’Elegance, some may even find themselves traveling many weekends out of the year, and that’s just how they like it. Whatever stage you are in in terms of automobile-enthusiasm, the Concours d’Elegance promises to entertain with “an exciting, unique, high-end classic automobile exposition that dazzles your senses and surpasses your expectations.”.